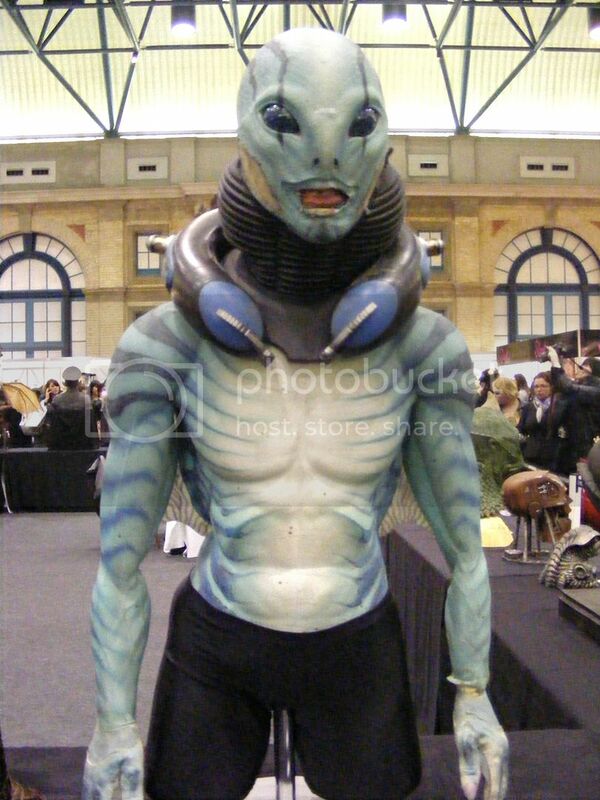 Over the weekend, I went to the IMATS in London. I went last year and really enjoyed myself, so was excited to get my press passes to go again this year. The show this year was a lot more packed than last year and everyone looked like they were having fun. I started off the day by watching a presentations by BeautySoClean, who do disinfectant and cleaning products for make up. We all know that old make up is full of bacteria, so something like this is really useful to have. During the presentation, I learnt a lot about how to look after make up, for example, dirty fingers, dipped into make up, spread bacteria and how using make up or dirty brushes is like drinking from a dirty glass of water. The cleaninfg products looked realy easy to use: all you have to do is spritz the bottle once, 6 inches away from the piece of make up, and then let it settle for 10 seconds. I usually wash my make up brushes after every use, but never thought about the make up itself. I think tis would definitely be a product to pick up and try. 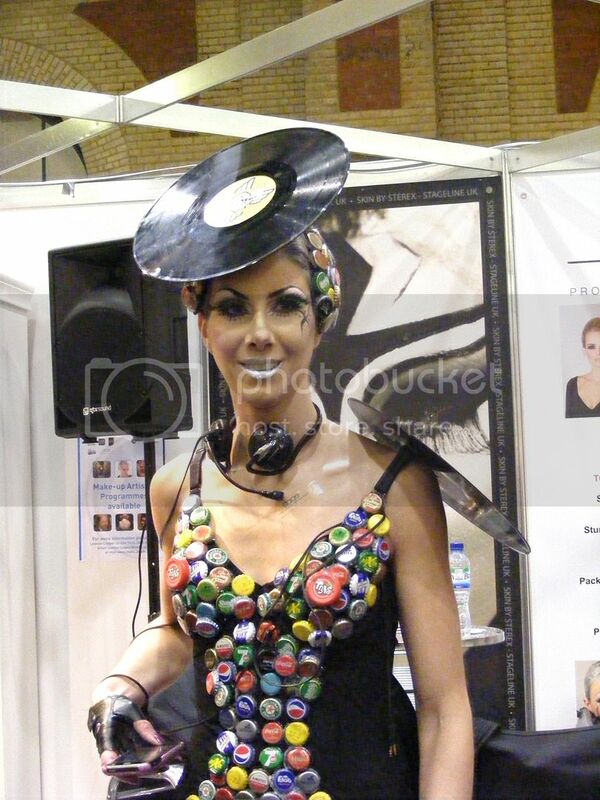 I then spent the next few hours wandering around, looking at all the different stalls, getting some really cool products and enjoying all the really amazing people dressed up and in superb make up. 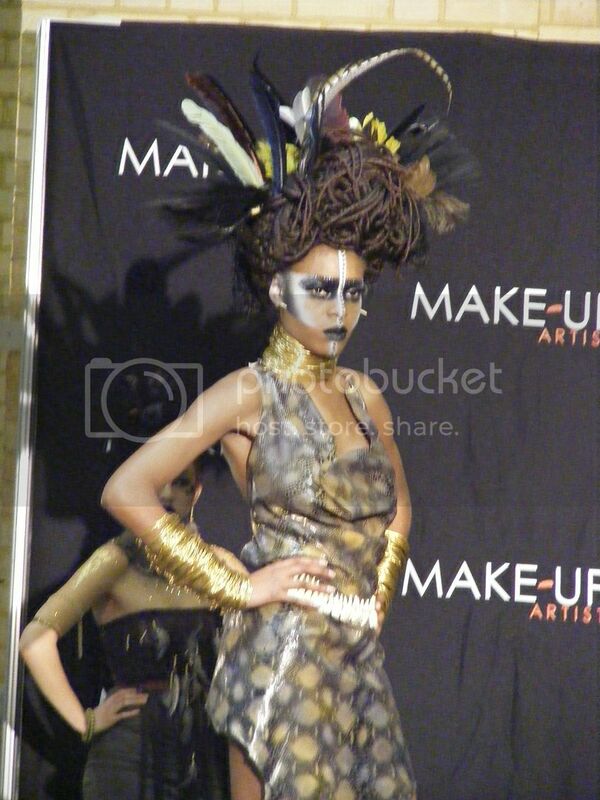 Some of the models walking around looked fantastic, and it was really interesting to see make up artists, working on the models. 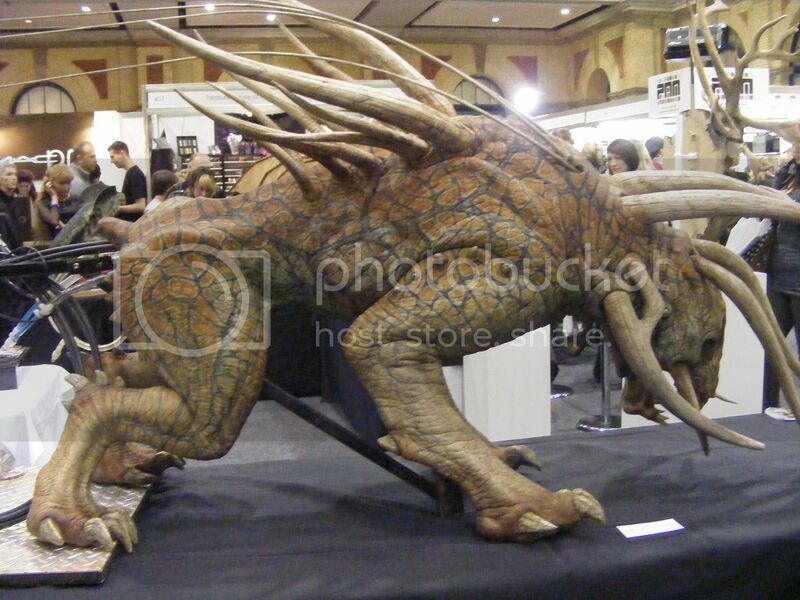 There were great masks on display, that have been used in all movies, such as Lord of The Rings, Hellboy, and wide variety of other alien/monstor movies. 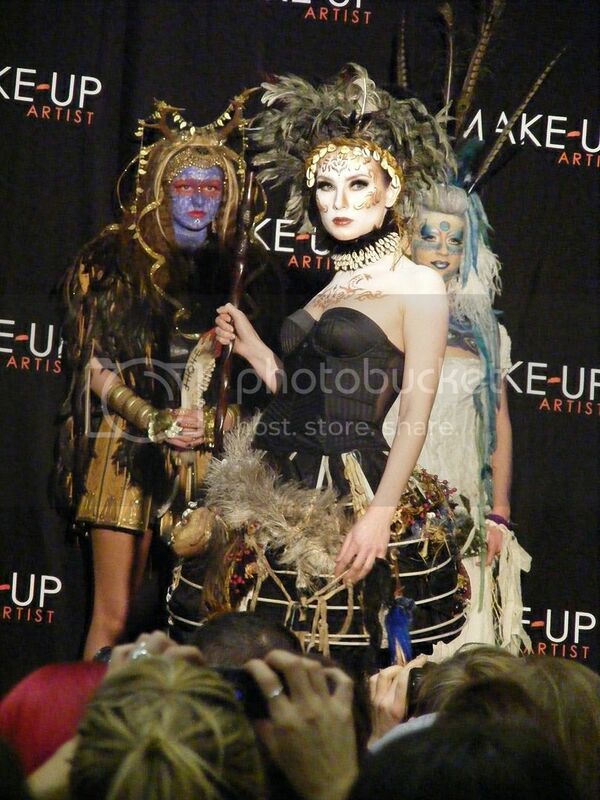 I also managed to catch the Student Competition, who's theme was Tribal this year. 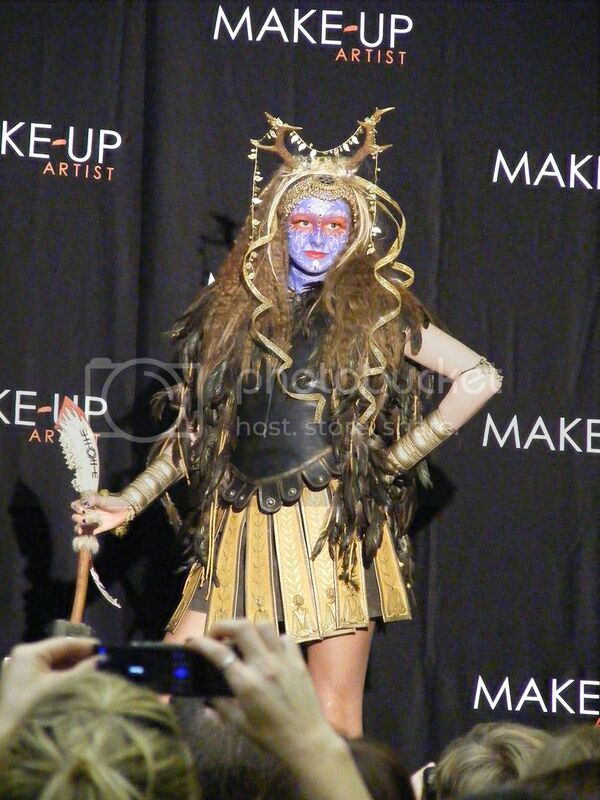 I was really impressed by the entrants this year and some of them were really unique. Don't worry if you weren't able to catch it this year; it takes place every year and also takes place in Sydney, Toronto, Vancouver, New York and L.A., all through the year, so definitely check out the site, and make it to one of the shows. It's a lot of fun and there are some great companies showcasing their products. More pictures on my facebook page. Ooo I'm so excited that you got to go. I was thinking of going this year since they have it in NY. Did you go for 2 days or one? Did you pick up anything? It will be my first IMAT show if I go so I want to know all about it. This looks like a fun event! They get so creative! It's so impressive what they can do with makeup now a days! Looks like fun! 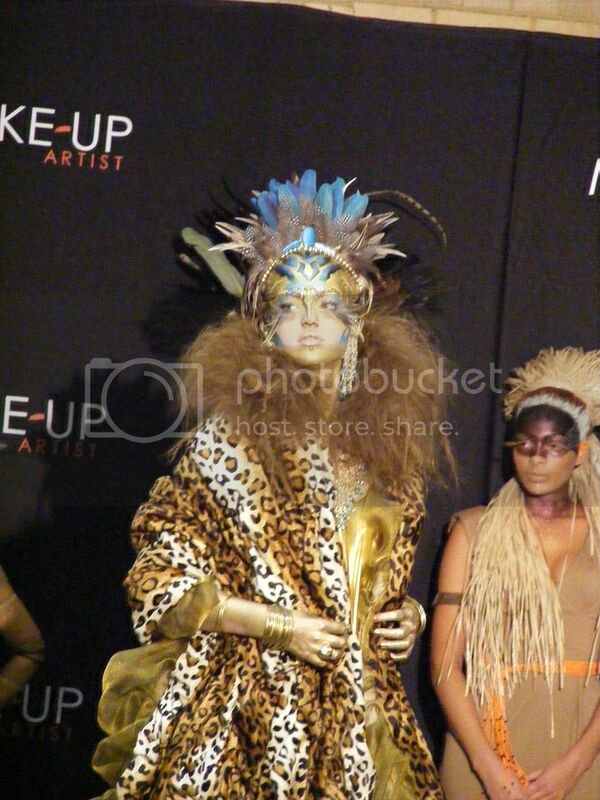 I love all the costumes! Whoa, this looks awesome! Thanks for sharing the photos!! Dirty brushes and makeup also cause breakouts on your skin. Good of you to post this or we'd never get to see them. They come up with such fantastic themes. hey sweets, sorry for my absence. Catching up on ur blog updates now and enjoying myself. that looks like one fab event, ur so lucky u get to attend them all. Ooh this looks great! I've seen some make up youtubers talk about this on their blogs, It looks like make up heaven! INCREDIBLE! Some people are makeup geniuses!!! 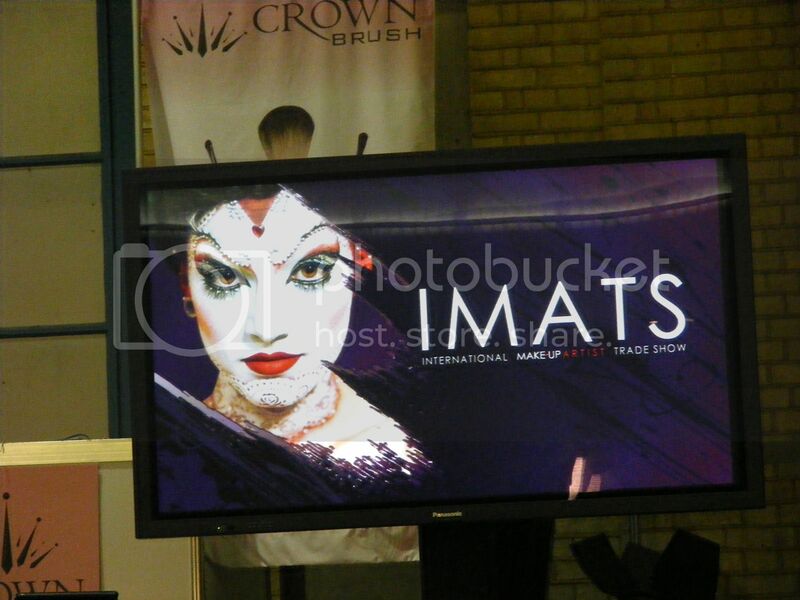 I'd never heard of IMATS before- all these things and experiences blogging opens you up to eh? 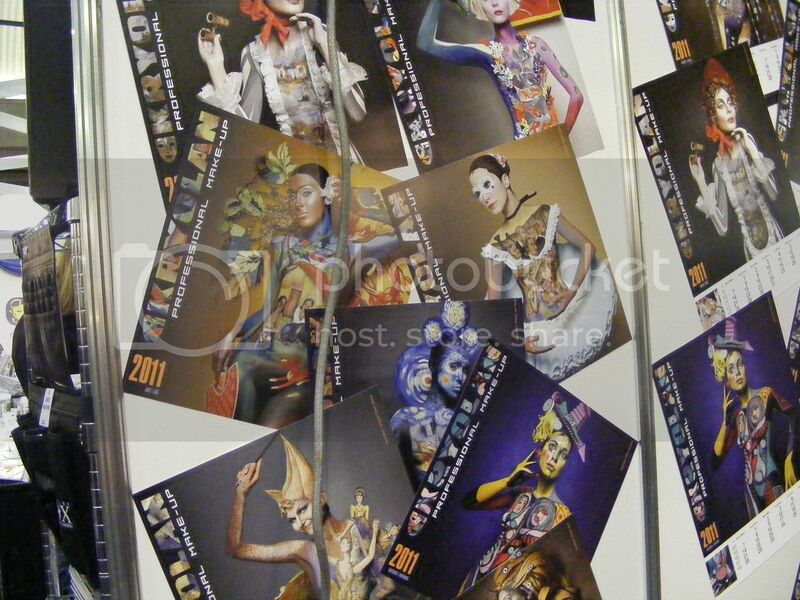 I really want to go next year- it looks amazing, so inspiring! Thans for your comment on my blog y'day- really meant a lot to me and made me feel so much better! Great photos, Sherin! It looks like this was so much fun to attend! What fantastic photos. This looks like such a fun and creative event. I really need to go to this! It looks amazing! what a fantastic show and all of the outfits are so unique! glad you had a great time! WOW...!! 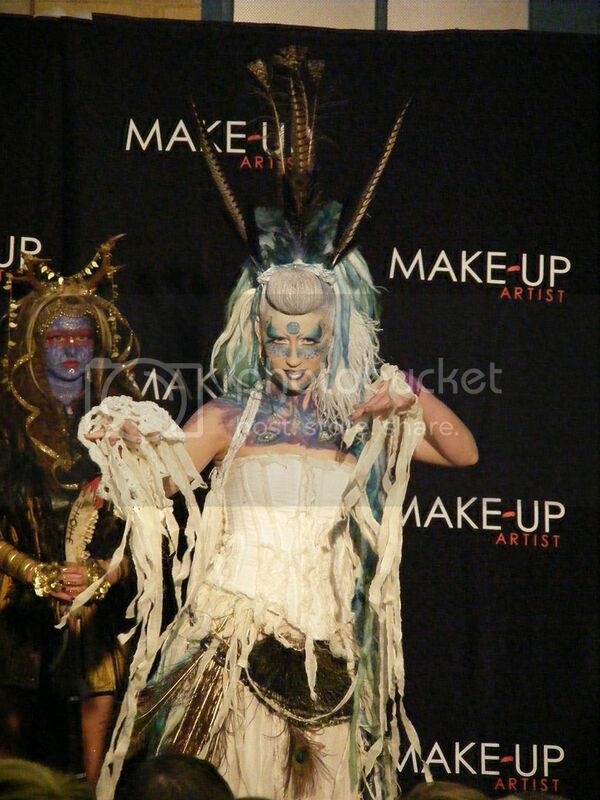 !THose costumes looks wicked and sooo pretty! i never heard of this show before though. Hope it comes to hk but i doubt it,lol. So you used to live in HK!? What a small world! And i used to study in London,lol. Thanks for stoppin by my blog too!! !